Renal dialysis is a great example of a condition that can allow people living with kidney failure to live a productive life, but it shouldn't get in the way of a holiday! It'll take a little extra planning but you should be able to get away if you want to. The biggest considerations are whether you will need (and be able to access) treatment while you’re away and whether you’re well enough to travel. The best place to start is usually a chat with your GP or healthcare team. They will need to know details about your trip to give you any kind of advice, so try and have an idea of where you’ll be and how long you’ll be there, but wait until you have the all clear to book anything. Talk to your GP about your trip. Let them know where you’re going and for how long you plan to be away, this can help them make sure you have enough medication to last the trip and that you know when and where to get treatment. You should also let them know how they can contact you – this is especially important if you’re waiting for a transplant. Get a letter from your doctor. You should always carry an up to date letter outlining your condition, recent blood results and any treatment / medications you’re on, this includes a digital copy via email in case you lose the paper copy. This helps you if you need to access medical care while away, or if you need proof of medications. You should take all of your medication and prescriptions with you, but if you happen to forget or lose them, the letter will quickly clarify what you need when visiting a doctor or local hospital. Know your local hospitals and emergency departments. When you plan your trip you should have a look at what hospitals are in the area, know how far you’re staying from the local emergency department, and what services the hospital offers. 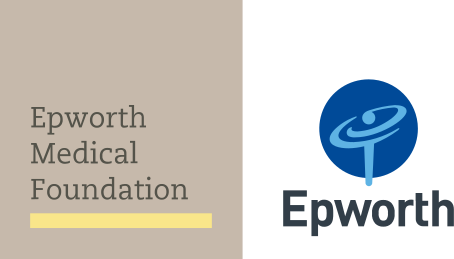 For example, if you happen to be travelling to Victoria, Epworth Richmond, Epworth Geelong and Epworth Eastern all have renal units and offer treatment to locals or people on holiday. This helps you plan your accommodation and also gives you a contact point for planned treatment and emergencies. Plan your ongoing treatment. If you know you’ll need dialysis while you’re away, don’t wait until you get there. Call up the local hospital (or other treatment facility if you know where to go), and let them know that you’ll be visiting, when and for how long you’ll be visiting and when and what treatment you’ll require. This helps them prepare for your visit and ensures you will get the treatment you need while you’re away. Health insurance. Find out what you’re covered for and what you need to do if something happens. Even treatment in Australia varies from state to state and things like an ambulance ride to the local emergency department can have a big financial consequence if you’re not prepared. These tips don’t just apply to renal dialysis or kidney failure. If you have any health condition and you plan on going away (whether international, interstate, or just really far away from where you usually get your healthcare), it’s a good idea to check in with your doctor, look in to health insurance and find a hospital in the area you’re travelling.